A mug cake is a great way to make a single serving of a sweet treat. It helps you satisfy your sweet tooth without being left with a big cake to eat for days. 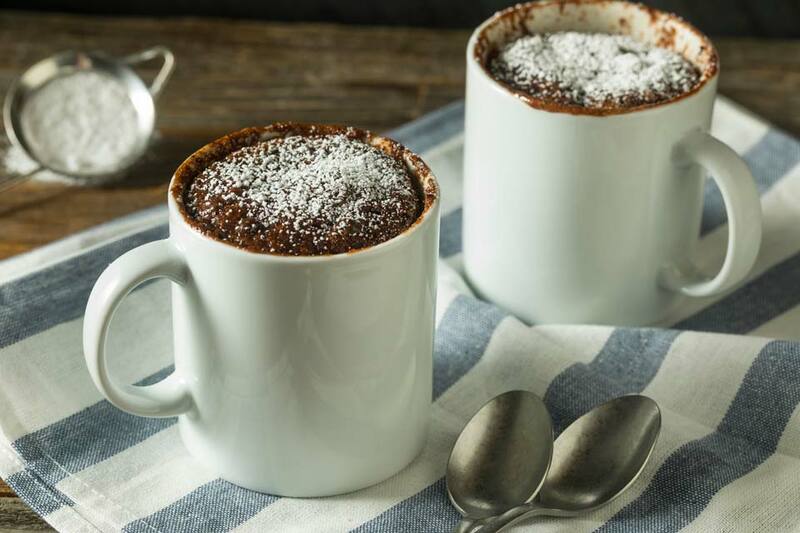 This cherry chocolate mug cake combines the health benefits of cherries and dark chocolate to give you indulgence without guilt. Mix whisked eggs, flour, cacao powder, salt, vanilla, sugar, and baking powder in a small bowl. Add chocolate chips and cherries and fold until just mixed. Transfer to microwave-safe mug and microwave for 1 minute and 30 seconds. Dust with powdered sugar or extra cacao if desired and serve.